​Finally, Jackson Donne has it figured out. After giving up on the private investigation business, he’s looking toward the future–one that involves getting married to Kate Ellison. Kate’s got him focused on living the good life: planning the wedding, finishing college, and anticipating a romantic Hawaiian honeymoon. Until an anonymous email with a link and an old picture of him on the police force shows up in his mailbox. And once Donne clicks the link, nothing else in his life matters. Bill Martin has it easy. The police detective spends his time drinking coffee and chasing down people who don’t pay their parking tickets. The plan is to keep his head down until his pension kicks in and he can live the even-easier life. That all stops the day Jackson Donne shows up at his office. When Jackson Donne clicked on the link, he saw a live-stream of the one thing he never expected to see. Six years ago, his fiancée, Jeanne Baker died in a car accident with a drunk driver. Or so Donne thought. Because when his web browser opens, he’s taken to a video of Jeanne bound to a chair, bruised and screaming, but very much alive. He starts to investigate, but quickly finds out he’s lost most of his contacts over the years. The live-stream has stopped working. 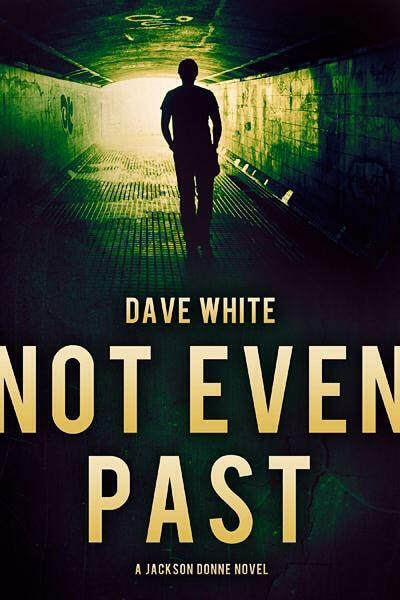 The police hold a grudge that stems back to the days when he turned in his corrupt police colleagues, and neither they nor the FBI are willing to believe a dead girl’s been kidnapped. As his investigation goes down one blind alley after another, Donne’s obsession with finding Jeanne grows. He begins pushing everyone away. Kate, seeing all he’s worked slipping away, begs Donne to tell her what’s going on. And when he refuses, she’s left angry and with no choice but to leave him. Vulnerable and alone, but unable to stop looking, Donne turns to Bill Martin–the only man to love Jeanne as much as he did—for help. And that decision could cost Donne everything.